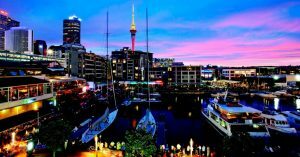 Take two days to become TapRooT® Trained in Auckland. Within these two days, you’ll gain experience and perspective in myriad workplace situations. You will learn to find and fix the root causes of incidents, accidents, quality problems, near-misses, operational errors, hospital sentinel events, and many other categories of problems. At the completion of your course, you’ll receive a certificate and a 90-day subscription to TapRooT® VI, the online software service. The true benefit is that you will have added the advantage of professional training to your expertise and on your resume! While you’re in Auckland, you may want to take a day or two and explore the area. Cornwall Park is a haven in Auckland’s center, featuring gardens, panoramic views, grazing sheep and cattle, free seasonal events, and recreational paths. See views atop Sky Tower, the tallest structure in the Southern Hemisphere. Tiritiri Matangi Island, in the sparkling blue waters of the Hauraki Gulf of New Zealand, 19 miles northeast of Auckland, is rich in Māori and European history and a stunning wildlife sanctuary for New Zealand’s native birds. Ferry to Waiheke Island, with pristine forests and vineyards, for a wine or culinary experience. When you’re making plans or while you are there, be sure to use our Auckland Pinterest board to discover adventures, dining suggestions, and city sights. Advance your professional development through TapRooT® Training: Register for a two-day, game-changing experience in Auckland.